The current heat wave on the Highveld makes it difficult to think clearly, even for us who like it warm. We have nevertheless tried to put together an informative newsletter for this month. What have we got for you in this month’s issue? Disgusting anti-wildlife politics in the US. But then again, why should nature conservation and species restoration receive more positive effort than all the rest in Adolf Horrorclown’s United States of Destruction? This general attitude and the resultant situation is by no means really mitigated by news just in about a court ruling that the state agency entrusted with conserving wildlife, in this case the red wolf, must do its job and look after and protect the 24 red wolves remaining in the wild. FWS will sure find an excuse to let these disappear as well and make landowners happy. Personally, I keep firmly in place my sanctions against everything Made in America wherever possible. See the News International section. Wolves are ruthless killing machines, right? If you are interested in facts, I urge you to read what Rick Lamplugh has to say about that. As usual, it is quite eye-opening. If you should be turned on more by fake news, I recommend you continue listening to Idahoan hillbilly farmers and US politicians instead and cancel your subscription to SAFHOWL. 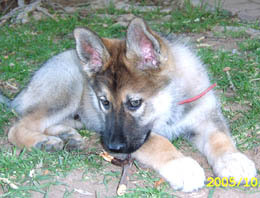 See the Wolves and Wolfdogs section. Like every month, we have a short wolf tale, but Erin found it too hot to put something sensible in writing. She will be back next month, she promised. 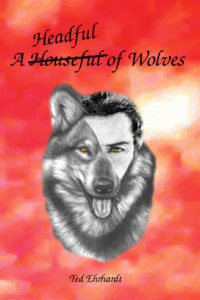 Considering that it is a mere five weeks to Xmas, and if you still don’t know what present to select for a wolf lover, my book (Ted Ehrhardt: A Houseful Headful of Wolves) is still available as paperback and E-book from Amazon at http://amazon.com/dp/1521583714 or http://www.amazon.com/dp/B073DPNN7Q or from any other Amazon Online-shop in both English and German. Larry has honoured me by asking me to Chair the Steering Committee to help HuskyRomi move towards a vision of sustainability and growth. Larry called a meeting at the Sanctuary on Saturday, 8th of September. This meeting was attended by Derek, Kim, Larry and myself, (my wife Glenda tagged along to take the minutes), as my right hand ‘lady’, she will assist me as we move forward to help make a difference to HuskyRomi. We discussed many of the future goals and objectives for the sanctuary and found that there was a great common thread winding its golden way through our dreams and wishes for this place the animals call home. In order to achieve any of our goals, we need to increase the monthly income for HuskyRomi and this means more fundraising, more ‘virtual adoptions’ and more donors. We are in the process of rebranding the sanctuary to give us slightly more ‘corporate’ look and feel however the core values will remain forever, as will the name in memory of Romi. As soon as our rebranding is complete, we will be approaching corporates to start signing up. 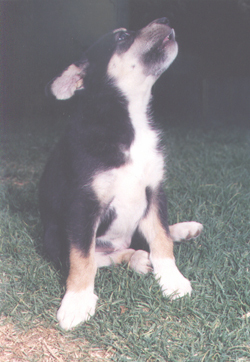 In return for the donation, HuskyRomi will offer promotion of the company and / or their products in any way possible. Should anyone be interested in Corporate Sponsorship for their company, please contact me for more information. Sadly, as with any organizational changes some people struggle with change and ultimately get lost along the way, organizations like HuskyRomi are no different in this respect and unfortunately some of the donors have decided to move on to other causes. I do hope that in the not too distant future they will all return to the wonderful animals that are resident at the sanctuary and bring more people back with them. 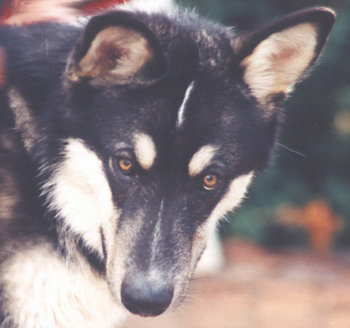 I am sure that we will try our utmost to live up to the ‘Wolfman’s’ confidence in us, but I must stress that our goals will only be achieved through participation of all of you in moving forward and helping HuskyRomi to become the best possible home to all of the animals resident there. There is a lot happening out at HuskyRomi, everything is very positive, it’s like a breath of oxygen has been breathed in, reminds me of when Frans Badenhorst come on board and injected a whole pile of new ideas and took some of the load off me, since then the load got heavier and Frans made some recommendations telling me to step down from running HuskyRomi and to rather implement a good committee so that I could do the things that I enjoy most, working with my animals, we have an amazing committee onboard and I’m the sanctuary manager. Not that much to tell you but wait until next month, we are starting to build an 8m Rondavel which will be a reception office / shop and can be used for other small events, i.e., as a small wedding chapel. Save Alaska’s Wolves & Bears! The National Park Service has proposed lifting a ban on extreme killing methods on Park Service lands in Alaska. If the ban is removed, wolves, bears and other predators will be vulnerable to appalling and cruel killing methods that most people strongly oppose. Act fast to save wolves and bears, including pups and cubs, from falling prey to these unethical practices! Take action today. USA: PROTECT OUR WOLVES: Lawmakers need to hear from you today! 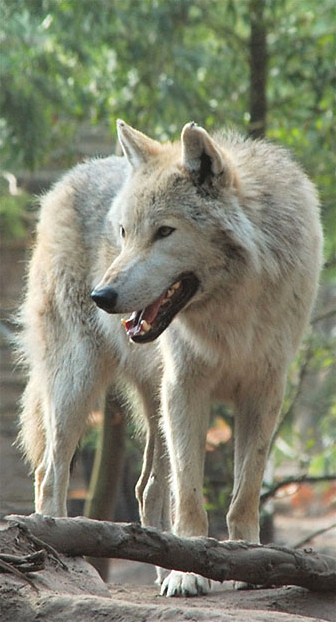 We’ve come a long way toward seeing wolves recover in the lower 48. But we’ve got a long way to go. And if the current anti-wildlife Congress gets its way, most wolf recovery could stop dead in its tracks. This week, Congress will vote on H.R. 6784, the “Manage Our Wolves Act.” This reckless bill would remove federal protections put in place by the Endangered Species Act (ESA) for most gray wolves in the lower 48 states, leaving each state to determine wolf management for themselves. A few of those states have already decided protecting wolves isn’t worth the effort. Here’s why we need to defeat this bill while we still can: if H.R. 6784 passes, it will also block judicial review of the decision to delist these wolves. Americans’ hands would be tied in seeking justice as hostile states decide for themselves how to manage wolves. And in states where they’ve already lost protection, thousands of wolves have been killed. We already know how gray wolves will fare without ongoing federal protection. States like Wyoming, Montana and Idaho have shown that, left to their own devices, they have no problem indiscriminately killing wolves. This callous, indifferent approach to wolf management can’t become the norm. We’re counting on you to tell Congress today that wolves deserve our protection! We only have this week to act. We can’t abandon wolves to the mercy of hostile states. If we lose this fight, wolves will pay with their lives. We’re counting on wildlife lovers like you to stand with us right now and speak up for wolves while we still can. 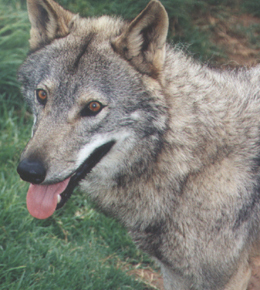 USA: Hope for the Red Wolf? Today through December, we’ll be sharing uplifting wildlife news stories with you on a weekly basis. As wildlife champions, we need to remember that no matter how bad things seem to be, we still have reasons to hold out hope. 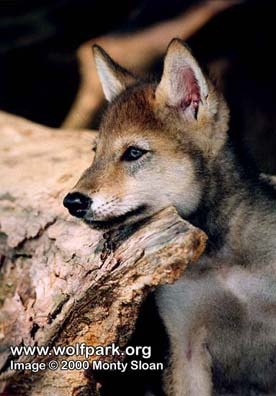 Today I bring you good news that’s only two weeks old: a crucial court victory for the critically endangered red wolf. Red wolves (Canis lupus rufus) once inhabited forests and mountains across the Southeastern United States, from Pennsylvania to Texas. 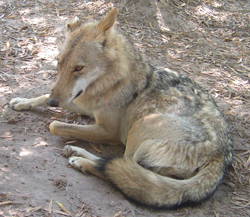 But generations of extermination campaigns and habitat loss due to human expansion devastated red wolf populations. 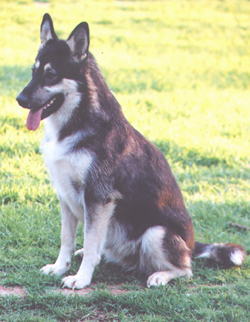 In 1980, red wolves were declared extinct in the wild. Hope for the species lay with a small number of captive red wolves. The U.S. Fish and Wildlife Service (FWS) launched an all-out effort to rescue these wolves and reintroduce them to the wild. In 1987, the first captive-bred red wolves were released into North Carolina’s Alligator River National Wildlife Refuge. Wolf populations grew. By 2000, nearly 100 wolves roamed the countryside in and around the refuge. It was shaping up to be one of the most spectacular wildlife recovery stories in history. But in recent years, under pressure from landowners and politicians, FWS all but abandoned the program. They proposed reducing the wolves’ recovery area by 90%. And they gave blanket permission for landowners to kill any red wolf that wandered onto their property. The population plummeted. Now only about 24 red wolves survive in the wild. In the face of this betrayal of wildlife, Defenders and our allies had to act. We joined our partner organizations and went to court to hold FWS accountable to do its job and resume sincere efforts to promote red wolf recovery. And it worked. Earlier this month, a federal court ruled in the wolves’ favor and ordered FWS to get back to work, as the Endangered Species Act requires. When we fight and win to protect wildlife protection laws, we save lives. But the fight to restore America’s red wolves will continue. Your support has been essential to all our efforts, including lawsuits, to protect the wildlife you love. We will continue to fight for red wolves, in court and on the ground. As long as there’s a single mated pair of red wolves in the wild, there’s hope. Germany: Three federal states want to shoot Wolves – please complain to the EU! Saxony, Lower Saxony and Brandenburg have submitted an application to the Federal Assembly to allow future wolf shootings, which also includes a change to the Federal Nature Conservation Act. If that is approved it will be a violation of EU law and a first step towards the renewed extirpation of our wolves. You can find our letter of objection with a detailed explanation and the original application here. USA: 2019 Appropriations Bill Does Not (Directly) Target the Mexican Gray Wolf! The wording of this section is confusing, and a previous petition update questioned what this language means for the Mexican Gray Wolf – mainly, will it delist the subspecies or not? We finally have an answer from a reliable source: according to the Wolf Conservation Center, that confusing section is basically saying that the Mexican Gray Wolf is exempt from the rider and will not be delisted – thank goodness! 2. USA: Congress Orders Study of Mexican Gray Wolf Taxonomy. So apparently, when Congress passed the must-pass budget bill back in March, they did add a wolf provision into it – but it wasn’t a delisting rider as we all feared. Rather, it was an order to determine whether the Mexican Gray Wolf is a taxonomically valid subspecies or not. In compliance with the order, the USFWS hired the The National Academies of Sciences, Engineering, and Medicine to conduct the taxonomic study, which began last month and continues until March 2019. You can learn more about the study and keep updated on its meetings with the provided link. 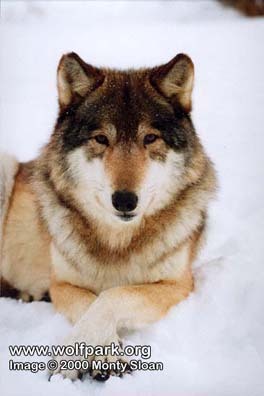 The order limits this taxonomic study to the two most endangered wolves in North America: the Mexican Gray Wolf and the Red Wolf (Canis rufus); it does not include all North American wolves, despite the fact that other Gray Wolf subspecies are in great need of taxonomic review. 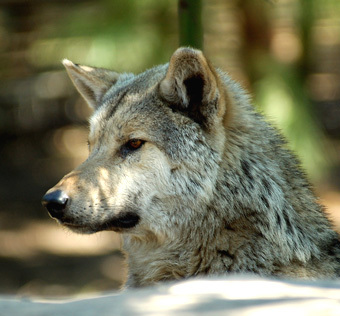 The status of the Mexican Gray Wolf as being genetically distinct from other Gray Wolves (regardless of whether it is called a subspecies or an ecotype) is more or less scientifically unquestioned, and the anti-wolf belief that the Mexican Gray Wolf is a wolf-dog hybrid has been disproven with genetic research. So what do you think? Is this order to study Mexican Gray Wolf taxonomy the result of genuine scientific interest, or is Congress just making a political attempt to delist the Mexican Gray Wolf? In any case, we must keep an eye on this to make sure that politics does not intervene with the scientists’ research. And if Congress tries to use/twist the study to strip the Mexican Gray Wolf of its ESA protections, then we must stop them! Proposed Amendment to “Manage Our Wolves Act” will Delist Mexican Gray Wolves! Arizona Representative Andy Biggs has proposed an amendment to the “Manage Our Wolves Act” that will delist the Mexican Gray Wolf (the bill currently excludes the subspecies from the nationwide Gray Wolf delisting). The House of Representatives is going to hold a vote on the “Manage Our Wolves Act” this Friday! If you live in the USA, then please write to your Congressmen/Congresswomen & tell them to both reject Bigg’s anti-lobo amendment and to vote NO on this dangerous anti-wolf bill! 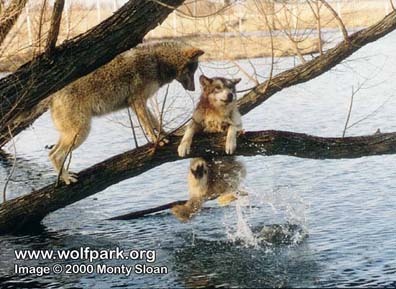 The fate of the Mexican Gray Wolf depends on it! In September, the IFT documented the Bear Wallow Pack in their territory on the east central portion of the Apache-Sitgreaves National Forest (ASNF) and occasionally on the SCAR and the FAIR. Yearling f1683, M1676, and AM1338 were documented travelling separately. Subadult male 1676 made dispersal movements across the central and western portion of the ASNF and on the Coconino National Forest, and was located dead in September. The incident is under investigation. In September, M1477 continued to be documented travelling with an uncollared wolf. The pair has been holding a territory in the east central portion of the ASNF. In September, the Elk Horn Pack was located within their traditional territory in the north-eastern portion of the ASNF. 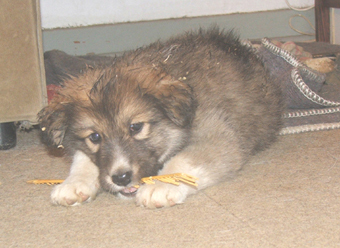 A female pup, fp1697, was captured, collared, and released in September. 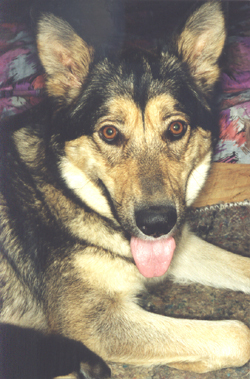 In September, the Hoodoo Pack was located within their traditional territory in the north-eastern portion of the ASNF. A male pup, mp1789, was captured, collared and released in September. In September, the Saffel Pack was located in their territory in the north-eastern portion of the ASNF. Two pups, fp1792 and mp1793, were captured, collared, and released in September. Later in the month, mp1793 was found dead. This incident is under investigation. The IFT initiated a diversionary food cache for the Saffel pack in an effort to reduce potential for wolf-livestock conflict. In September, the Sierra Blanca Pack was located in their territory in the north-eastern portion of the ASNF. In September, the IFT documented F1489 travelling in the north and east central portion of the ASNF. In September, the IFT documented M1574 travelling in the east central portion of the ASNF, the SCAR, and the eastern portion of the FAIR. In September, the Baldy Pack was documented travelling in the eastern portion of the FAIR and the north central portion of the ASNF. 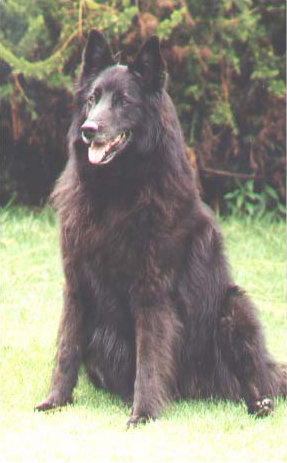 In September, the Tsay-O-Ah Pack was located within their traditional territory in the eastern portion the FAIR. In September, the Tu dil hil Pack was documented travelling in the eastern portion of the FAIR. During September, the Copper Creek Pack was located via a remote camera travelling in the western portion of the Gila National Forest (GNF). Currently, there are no functioning collars in this pack. Single M1673 was documented travelling with F1444 in September. During September, the Dark Canyon Pack was documented travelling together within their traditional territory, in the west central portion of the GNF. The Dark Canyon Pack continued to exhibit behaviour and movements consistent with rearing pups during September. During September, F1437 returned to the Hawks Nest territory in the north central portion of the GNF. AM1038 was not located in September. The IFT is trying to document if this pair is still travelling together. During September, the Iron Creek Pack continued to utilize their territory in the northern portion of the Gila Wilderness and the southern portion of the GNF. The Iron Creek Pack continued to exhibit behaviour and movements consistent with rearing pups during September. 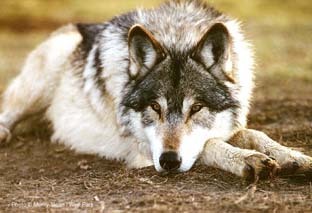 Wolves fp1721, m1821, and M1556 were captured, collared, and released in September. During September, the Lava Pack was located within their traditional territory in the south-eastern portion of the GNF. During September, the Mangas Pack was located within their territory in the north-western portion of the GNF. The IFT maintained a diversionary food cache for the Mangas Pack to reduce potential for conflict with livestock. The Mangas Pack continued to display behaviour consistent with rearing pups within their traditional territory during September. 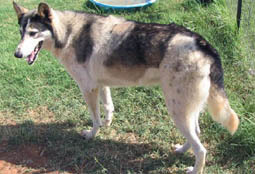 During September, the Prieto Pack was located within their traditional territory in the north central portion of the GNF. 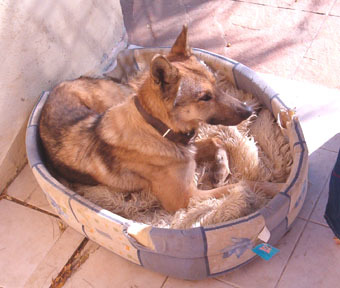 The IFT maintained a diversionary food cache for the Prieto Pack and implemented continuous hazing efforts to reduce potential for conflict with livestock. The Prieto Pack continued to display behaviour consistent with rearing pups within their traditional territory during September. During September, M1486 travelled throughout the northern and central portions of the CNF. During September, M1673 was located via a remote camera travelling in the western portion of the Gila National Forest (GNF) with F1444 in August. The IFT continued monitoring efforts to determine if M1673 has joined the Copper Creek Pack. During the month of September, there were four confirmed wolf depredation incidents on livestock. There was one nuisance incident in September. From January 1, 2018 to September 30, 2018 there have been a total of 58 confirmed wolf depredation incidents in New Mexico and 26 confirmed wolf depredation incidents in Arizona. The IFT investigated the incident and determined the Saffel Pack had GPS collar locations in the area of the incident on September 14. 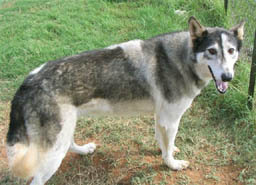 It is not uncommon for wolves to interact with dogs even when people are present. Wolves will often exhibit aggressive behaviour toward dogs when young pups are present with the pack, as was the case with the Saffel Pack in this incident. Yelling at, throwing sticks and rocks in the direction of wolves and scaring wolves away from an area are all allowable forms of opportunistic harassment (under the Final 10(j) Rule), provided that the wolves are not purposefully sought out to harass. The IFT encourages members of the public to report all interactions when wolves display unacceptable behaviour using the contact information provided at the beginning of this document. 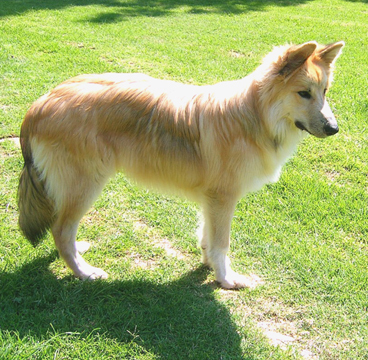 Any person may take (which includes killing as well as nonlethal actions such as harassing or harming) a Mexican wolf in self-defence or defence of the lives of others. Any form of take must be reported within 24 hours to the Mexican Wolf Recovery Program, USFWS by telephone 505-346-2525; or fax 505-346-2542. The U.S. Fish and Wildlife Service’s proposal to remove protections from the nation’s only wild population of endangered red wolves has been met with near unanimous opposition from the public. In June, USFWS solicited public comments on its proposal and out of 108,124 comments submitted, 107,988 comments (99.9 %) favoured the need for strong federal protections for red wolves. USFWS’s proposal to reduce the red wolf recovery area by nearly 90%, limit the population to just 10-15 wolves, and allow landowners to kill wolves who stray beyond the newly-designated recovery area is a recipe for extinction. USFWS’s decision is slated to be finalized by Nov. 30. Volunteers from the Wolf Conservation Center, Wildlands Network, the Center for Biological Diversity, Defenders of Wildlife, and the Animal Welfare Institute each reviewed thousands of comments submitted to produce this analysis. More about the analysis here. If passed into law, wolves will die at the hands of trophy hunters. The U.S. House this week is expected to vote on a controversial bill that would legislatively remove federal Endangered Species Act protections for all gray wolves in the lower 48 states except the critically endangered Mexican gray wolf. In addition to stripping protections for most gray wolves from the federal endangered species list, H.R. 6784, the so-called “Manage our Wolves Act” from Rep. Sean Duffy (R-Wis.), prohibits its judicial review thus preventing any legal challenge. Science, not Congress, should be the decision maker when it comes to endangered and threatened species. Please urge your representative to stand up for wolves, the Endangered Species Act, and the rule of law by opposing H.R. 6784. Fact Check: Are Wolves Ruthless Killing Machines? A common criticism by those who dislike wolves is that wolves are ruthless killing machines compelled by instinct to take whatever prey crosses their path. To check the reality of this, I dove into the writings of several well-respected wolf experts. It turns out that wolves are discriminating hunters; they have to be since they are not well equipped for hunting big prey. Wolves choose “weaker and naive animals and have their greatest success” with elk calves and older elk, writes Jim Halfpenny, an eminent naturalist and author of Yellowstone Wolves in the Wild. In Yellowstone the average female elk killed by wolves is about 14 years old, writes Halfpenny. By that age the elk’s teeth are worn down and less effective. This means the animal does not get proper nourishment and is weaker and more vulnerable to attack. How do the wolves find a vulnerable animal? “Wolves stalk just like a house cat does,” writes Halfpenny. Wolves want to get as close as possible to an elk herd before starting a chase. Once the chase begins, the wolves sort and sift the herd trying to find a weak animal, one less likely to harm them. Wolves are risk averse and by chasing a herd, may detect a male that has been weakened by defending his females during the rut. Or they may separate a calf from the protection of the herd. Or they may find an animal that is diseased, has been injured, or was born with an abnormality. To reduce risks and overcome their shortcomings, wolves hunt in packs. 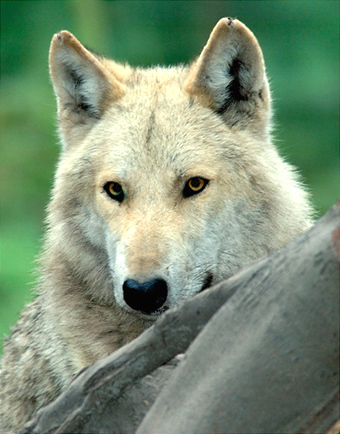 Packs with four wolves are more successful than packs with fewer wolves when hunting elk. To take down a bison, a pack needs three times that many members. Wolves are far from being ruthless killing machines. Wolves know they can die trying to dine, so they look for prey that is less dangerous. But even when they find such prey, wolves fail far more often than they succeed. Rick’s award-winning Deep into Yellowstone and best-selling In the Temple of Wolves are available signed or unsigned on Amazon. Rick’s new book, The Wilds of Aging, is available signed or on Amazon. by Taren a Werewolf Mage. Her black fur gleamed in the dim moonlight, and her vermillion eyes produced a light of their own. The black wolves hackles raised, and a snarl escaped her throat. She would not return to them. Miles away, the alpha hung his head. Sorry for his loss. A lesser wolf tried to persuade the shadow wolf. His golden fur gleaming. She hated Light wolf, her elemental enemy. The packs omega tried, silver fur sparkling. The pack stood puzzled for a moment, confused of what she meant. They had tried Ice wolf, who was bravest. Used Light wolf, who was strongest. And even Wind wolf, the most attractive. They were desperate for their lifelong companion. Brown Earth wolf called to no avail, and jet blue Wave wolf sang loudly. But no Shadow wolf appeared. Tan Poison wolf screamed his highest, and only received insults.